A trailer fee is a commission that a lender pays to a mortgage broker when his or her client renews with that lender. It’s basically an incentive for brokers to keep their clients with the lender after the mortgage matures. But trailers haven’t worked out as hoped for Street Capital, the broker channel’s third-largest lender brand by market share. Four years after launching its “Loyalty Program” with trailer fees, the company says “…We have not seen any material impact (of trailers) on either mid-term liquidation or retention.” As a result, it is doing away with trailer fees on new applications, effective July 1, 2015. As is the honourable thing to do, Street is maintaining trailer compensation on all existing loyalty mortgages submitted by brokers, subject to the normal conditions of that program. Some brokers will undoubtedly be surprised that trailers didn’t pan out for Street, but one man who’s not surprised is broker Ron Butler. He suggests that many brokers are more motivated to move a client to a new lender than to get a trailer fee. Of course, countless brokers do, in fact, do the right thing, which is to not move clients at renewal when it’s not in the client’s clear interest. Moreover, not all lenders are finding trailers ineffective. “Our mid-term liquidations and retention levels meet organizational benchmarks,” says Boris Bozic, founder of Merix Financial, a lender that helped pioneer trailers in the broker channel. Back to Street Capital: It’s hard to measure the potential impact of this news on Street Capital, primarily because there’s no way to know how many brokers submit deals to Street primarily to get trailers. It’s likely a minority, as the majority of brokers industry-wide still support the bird-in-the-hand model of upfront compensation. That said, we will certainly monitor market share numbers in the next four quarters to see how this all plays out for Street. Street is also in the midst of applying for a bank licence. 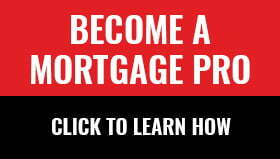 Pending approval, it tells us that it plans to announce further value-added products to the mortgage broker channel. Street goes after existing renewals hard, they realize they would rather win the deal back at 2.39 for a 5 yr fixed than pay broker trailer or renewal commission. They are way more aggressive than any other lender I have faced. Brokers need to fully support trailer fee lenders instead of constantly batteling non-trailer lenders and moving clients. Street Capital is probably the most arrogant broker channel lender out there, they feel that they can no wrong and will continue to enjoy broker support. I had the delight to try to move clients out of Street Capital at mortgage maturity and I must say that their retention is very tough. Good luck moving your clients out of there. When deal with Street Capital you pretty much sell them your client at 80 bp + vb. You will never see this again. I hope that brokers really consider where they send business going forward, Street’s slogan of “broker focused” is bullcrap, they really do not care about us or long term relationships with us. There are better and cheaper monolines out there that are interested in long term relationships with brokers (by paying trailer and renewal fees). Street Capital clearly doesn’t care. Or MCAP a lender that does not pay renewal but will also not fight you tooth and nail on renewal. Street is not a lender I will support going forward, I hope other brokers also punish them for their greed and arrogance. A monoline that fails to get a simple fact that they are 100% broker dependent, and their success comes from brokers. Such monoline does not deserve our support. I think Street capital is missing the point here. Trailer fees are about the broker partnership, not the lenders bottom line. Regardless of retention rates, brokers supported Street more because of the loyalty program. Street will lose market share because of this move. It is clear they are more driven by profit than by creating a long lasting symbiotic partnership with the brokers. TD, Scotia and 1st Nat will blow Street out of the water in 2015. Former loyalty brokers will move some business to the other trailer lenders still available. now that refinance ltvs are lower, I hear many brokers say they wished they’d committed more to a trailer model. Many high ratio clients cannot refinance until the 2nd or 3rd term (once they get to 75% ltv), so the broker might as well get paid as the client renews with the lender. You can try to switch them to a new lender at renewal, but not as easy as it used to be. Street hasn’t even reached the 5 year mark on its program yet, which makes it extremely hard to measure the effectiveness of the program. How do you measure retention when the majority of the mortgages haven’t even reached maturity. There is clearly something else afoot here. Street would have had a good feel for mid-term liquidations by now because the average 5 year fixed lasts about 3.3 years. Ok, but if that’s the case, they get an extra 3 months interest or IRD paid to them. I agree, it would of been nice to see retention rates once the early 5 year mortgages on the program matured and then make a decision at that time. Too bad. Ron has hit the nail on the head. Brokers with a churn business model (the opposite of loyalty) have made the program unprofitable for Street. If the behaviour continues, I would not be surprised to see all monolines pull the program in the future. Michael’s comment that Street is “missing the point” and that it is not about “the lenders bottom line”, is missing the point himself. Just like you, they are here to make a profit for themselves and their shareholders, they are not a charity. Now, due to the behaviours of some, the program is no longer profitable and they have decided to pull the trailer model. Or, maybe I’m wrong and profit is not a driver and a good percentage of your services are given free of charge, or at a loss, for the benefit of the lender/client relationship. I don’t know about that Barb, I read a report today that single family property values in key areas of the Lower Mainland are up 14.5% in one year. GTA increases will definitely average 10% this year. These two localities represent 35% of all the real estate transactions in Canada this year. Based on 2013 and 2012 value increases compounding I think even hi-ratio deals turn conventional in 3 years in a lot of places. I don’t know many places in Canada where a house bought 5 years ago as hi-ratio is not very close to conventional and insured transfer / switches would pay full pop commissions anyway not the reduced commission on a renewal program. I don’t really get what Street’s (or any other lender) heartburn is all about? If I was a car salesman, and had sold someone a Focus but she now wanted a bigger vehicle; of course I would sell that to her. Shouldn’t I? Even if it cost her more money than the older Focus that she had? So if I place a mortgage with a lender for a specified period of time (say 5 years), they earn an enormous amount of money off that client. I am renting them the client for a period of time. But if they can’t keep their expenses in line, such that they aren’t making tremendous profits, that really shouldn’t be the Broker’s problem. I’ve noticed that the lenders don’t seem to be too concerned about my expenses or profitability at all. Rather than ramping up their expenses with huge retention teams, perhaps they should take a page from the insurance agencies handbook and pay the Broker to facilitate the renewal with them. There’s no question there are underlying financial factors with Street’s decision to cancel their trailer model, which is actually a long term financial liability to any lender trying to build a stronger valuation for their business. Plain and simply put, a true trailer / renewal model that compensates brokers on a “perpetual” basis, (which is very important to note when reviewing lender / broker contracts), is a great way to build a long term business for mortgage brokers and their agents alike. Let’s face it, if the trailer model was such a good thing for lenders, why wouldn’t all of them offer it? – Because it’s not. The reality is that retention rates are so high with lenders, (reported to be between 85%-95%), that they don’t have to offer an going compensation model. In fact, lenders are generally getting more aggressive about retention, (monolines included), by employing strong retention teams and offering deep discounted products that only serve to further franchise the client without paying a nickel more for all future business to the broker or agent. That’s right, brokers and agents not only give up a good chunk of their commission up front by selling deep discounted products with a fortress built around them, but they get nothing in return on the back end because of the way the product is designed – to retain the client. Don’t misunderstand me, there’s nothing wrong with retaining clients, but a true partnership works best under a joint and fully transparent retention strategy that benefits all parties, much like is available with a few lender partners, and the insurance and mutual fund industries. My suggestion is be smart by diversifying your book, and do your homework. Look for lender partners that will help “YOU” grow your business, not just theirs. Your efforts will pay long term dividends and help you build a real value for your book. Especially now with all the changes taking place in our new found regulatory environment that is only designed to flat line and even slightly erode real estate valuations, which will ultimately lead to restrictive borrowing. – Where’s the benefit for the broker in the upfront model as this plays out?